A big hello from India! :) It’s been 3 weeks since we landed here and the life has been, well, little chaotic trying to do hundred and one things at once! We have been struggling to come up with the fact that this is not our annual month long holiday with our loved ones and we are actually going to live here permanently! Sometimes I feel it’s all a dream and I will wake up next moment in our old house in England listening to the howling wind, grey skies and rain drops splattering around! 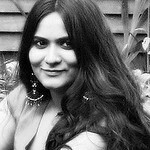 But that is not the case as every time I wake up here in my parents’ home, all I can hear are the noise of tweeting birds, bright sunlight streaming through the curtains and to the lull of ceiling fan… Life is so much different to the life that lived just a month ago… I will write more about our Indian adventure later as we are still living out of suitcases. Since we are in the middle of peak of Indian summer, I am finally able to indulge in all summer bounty! Mangoes, watermelons, jackfruits, bread fruits, melons, tender coconuts, palm fruits to name the few. I feel fortunate to fins these treasures after 10 long years and I feel no shame to call myself glutton when my teeth sink into the juicy fleshes of summer fruits and vegetables! One such fruit I missed greatly was the KaaTu/NaTi Mavina Hannu or wild mangoes that are available locally during summer. 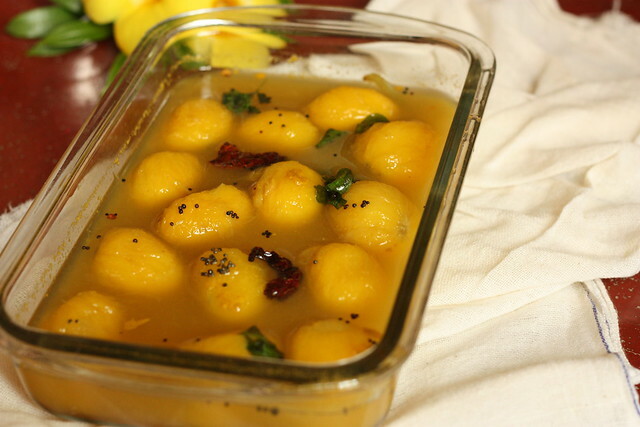 Unlike the popular mangoes from India like Alphanso or Kesar, these tiny wild mangoes are fibrous and are usually quite sour with a hint of sweetness in them. 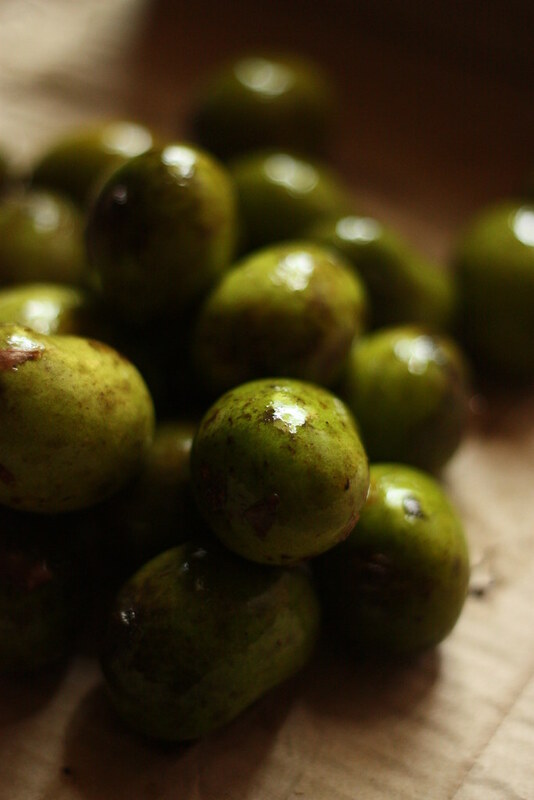 They are mostly used in cooking many delicacies in my hometown and one such delicacy is KaaTu Mavina Hannina Saaru/Gojju. KaaTu Mavina Hannina Saaru/Gojju is probably one of simplest and easiest recipes as it uses just a handful of ingredients. 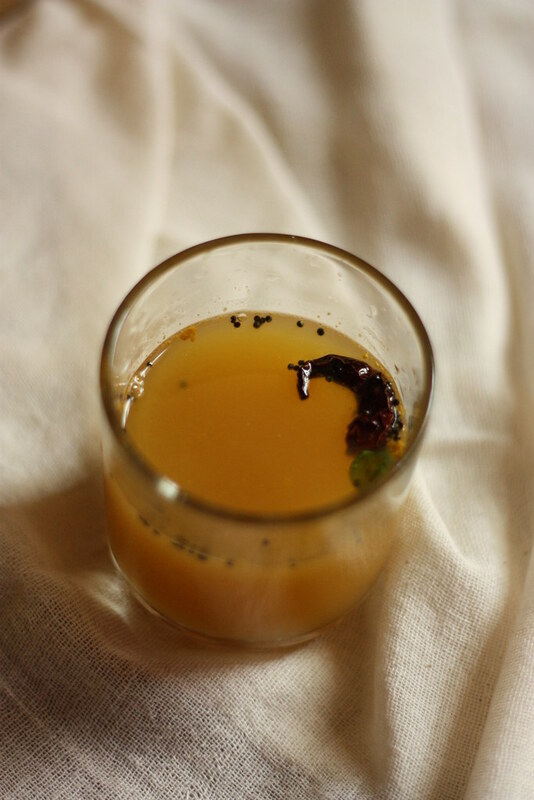 But don’t go by the simple ingredient list as the taste and flavour of this unique Saaru/Gojju will blow your mind! 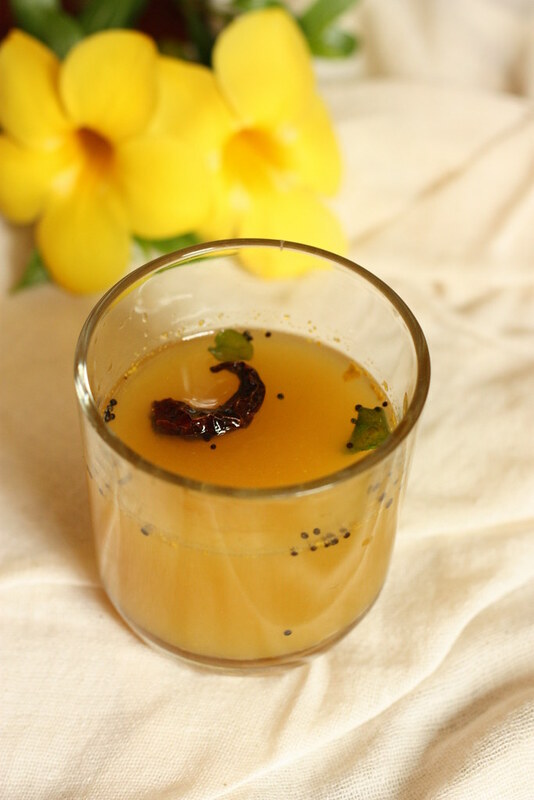 To make this KaaTu Mavina Hannina Saaru/Gojju, you start by peeling the wild mango peels and then little water is added to the juice is extracted from the green mango peels. Then they are cooked along with a lot of jaggary (unrefined sugar made from sugarcane juice), slit green chillies and salt and finally an aromatic tadka of mustard and curry leaves finishes this whole dish! This KaaTu Mavina Hannina Saaru/Gojju is served with rice and in my case, I like to drink it in a tall glass as a refreshing summer drink! 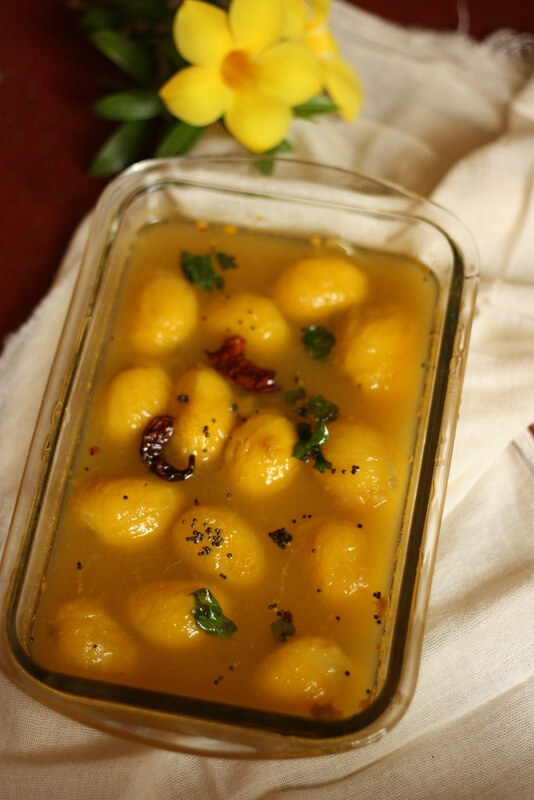 :) Do give this recipe a try if you can get hold of some wild mangoes and it is sure to delight and surprise your taste buds! Wash and cut the tip of the wild mangoes. 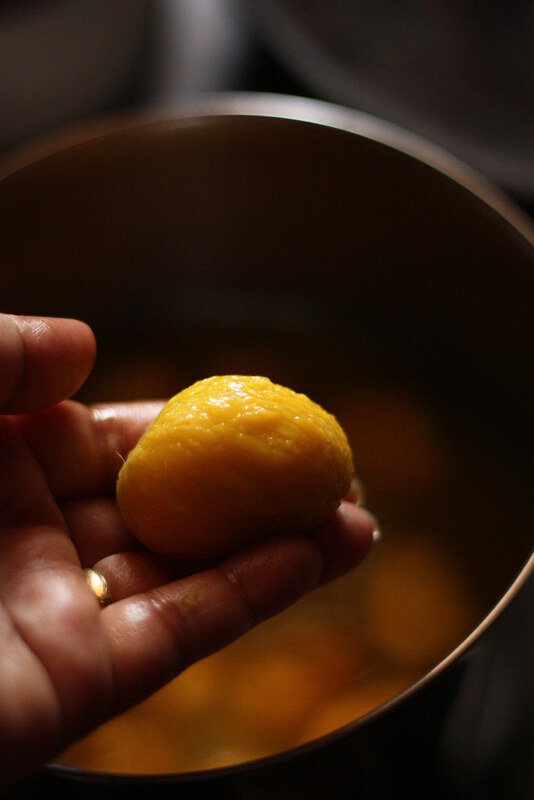 Peel the wild mangoes and keep the peels in a side. Take the peels in a container and add about 3 cups of water. Squeeze the peels to extract as much juice as possible and discard the peels. 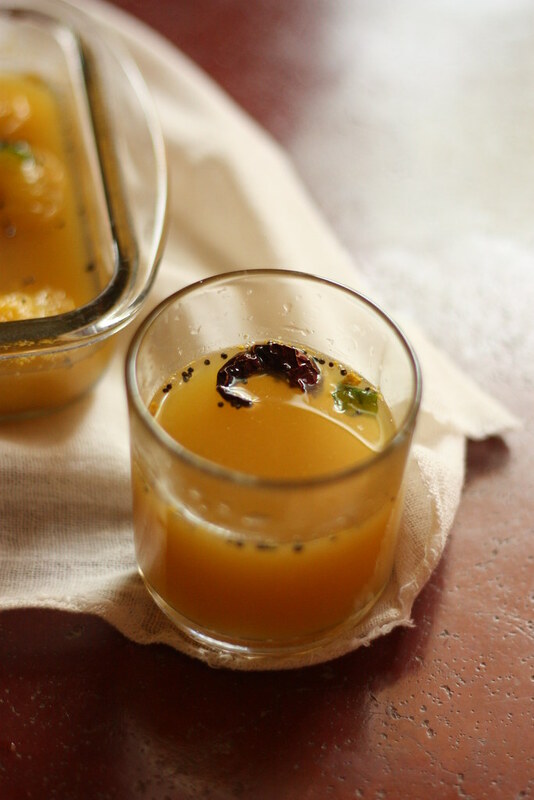 Add the peeled mangoes, jaggery, slit green chilli and salt to taste and bring the whole mixture to boil on medium flame. Simmer and cook for another 5 minutes until the mangoes are cooked through and the curry thickens slightly. Turn off the heat. 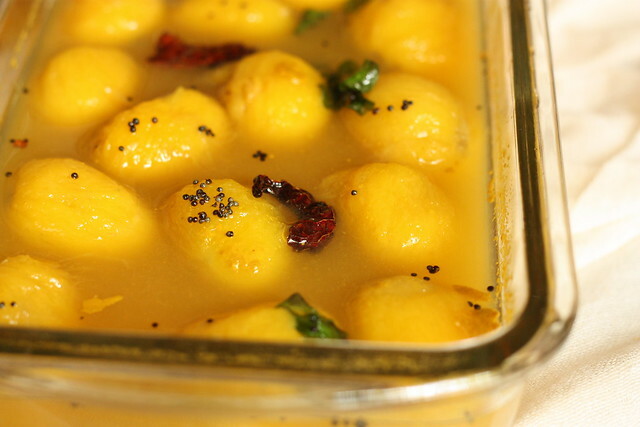 Heat oil in a pan and add mustard seeds and curry leaves. 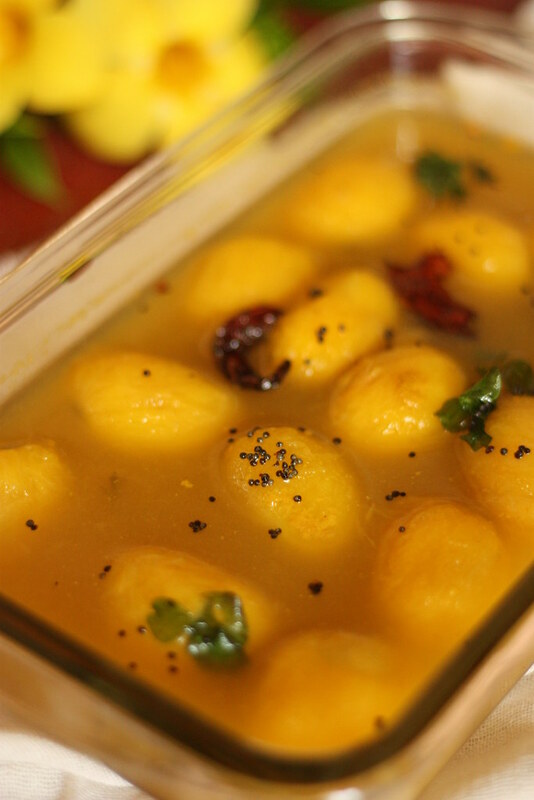 When the mustard seeds start to pop and splutter, transfer the tadka to the KaaTu Mavina Hannina Saaru/Gojju and mix them well. 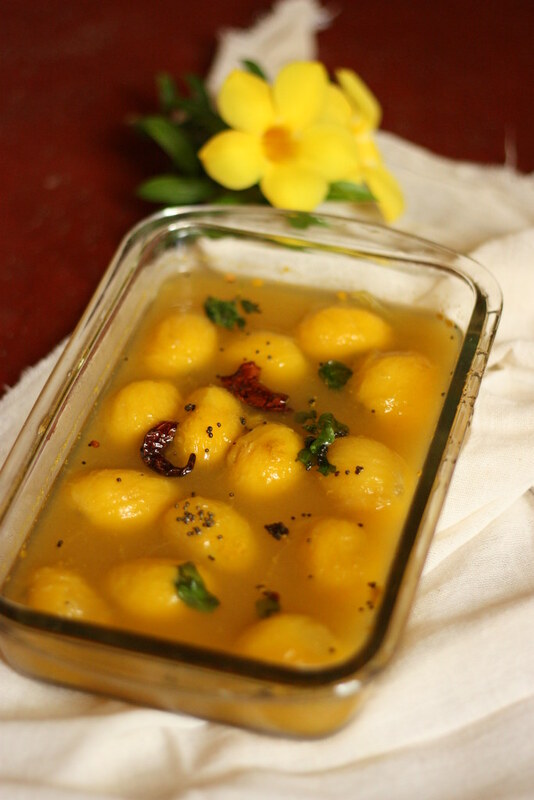 Serve this KaaTu Mavina Hannina Saaru/Gojju with rice and enjoy! 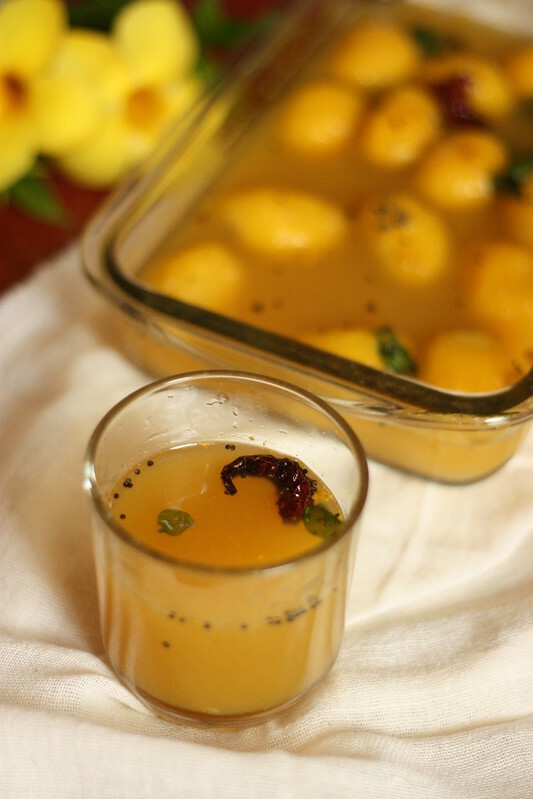 For this KaaTu Mavina Hannina Saaru/Gojju, use the sour variety of wild mangoes with a hint of sweetness. You can replace the jaggery with brown sugar or palm sugar. Adjust the jaggaery and green chillies as per taste. 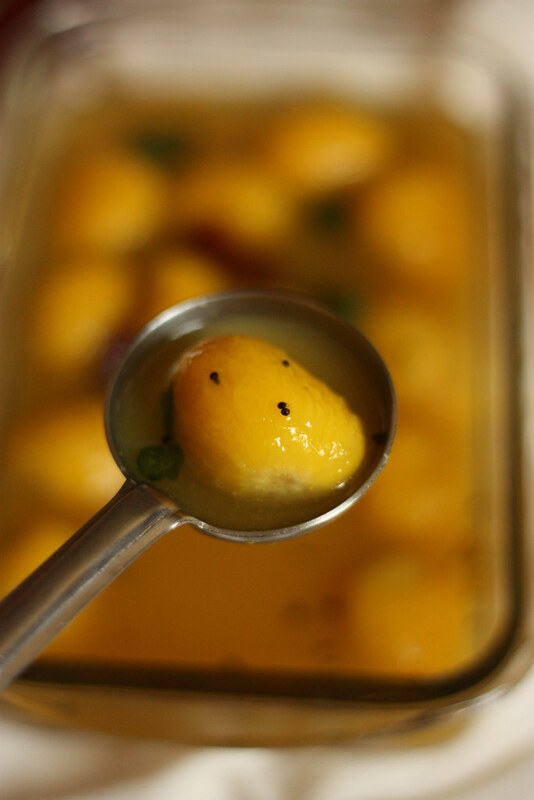 If the mangoes are sweet ones, then you may need half of the quantity of jaggery used and vice versa. My first time writing here:) I found these little mangoes at the grocery store here in the US recently and wondered what I could make with them. Your post was timely:) This soup looks so comforting to me. Will definitely try to make it. Sending lots of luck and wishes your way. 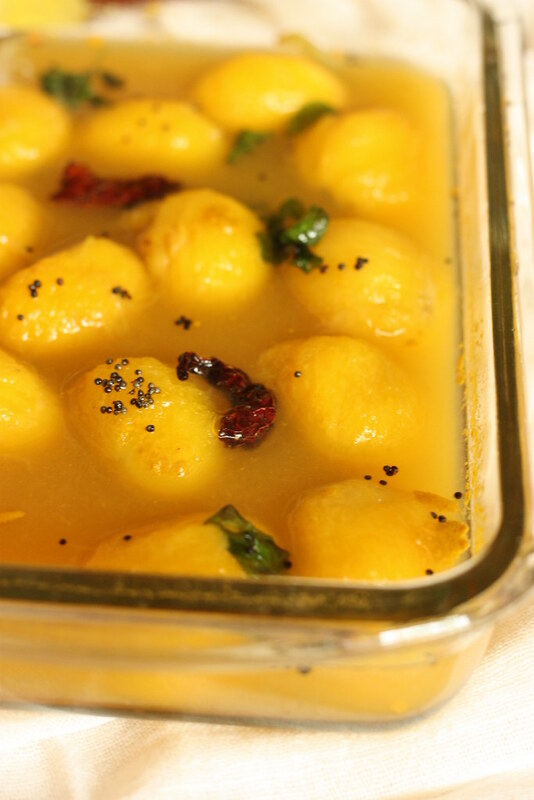 My grandmother used to make this for us.. but the tadka included a little crushed garlic. I love this and miss eating it and will be on look out for these mangoes this summer at local Indian grocery. 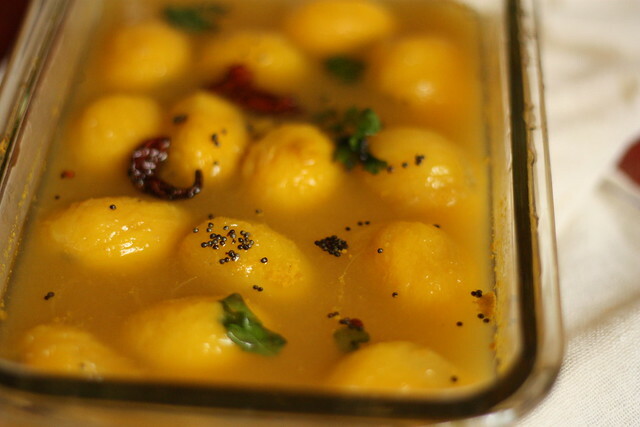 The Saaru looks delectable! Very yum! Dear Sia, I enjoy your writing and am inspired to cook!! Thanks for sharing. Best wishes for your new life in the old country! Makes me nostalgic! 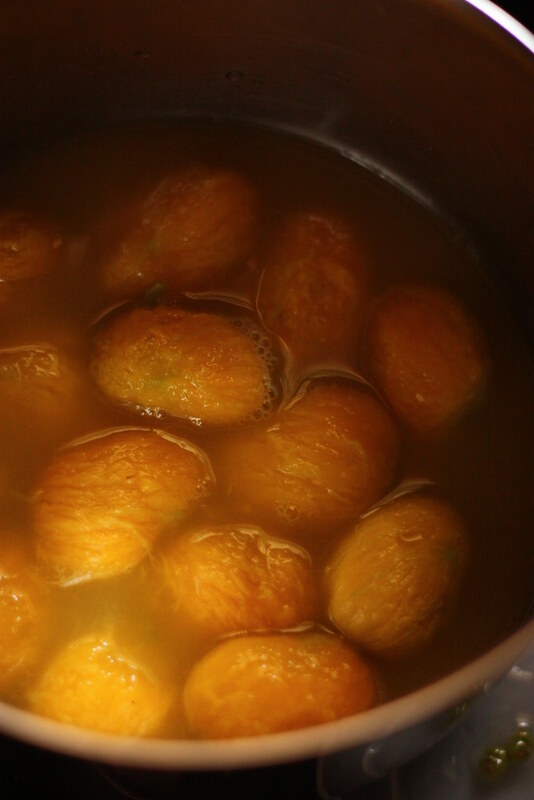 :-) in my family we make appekai gojju.. Which is similar except its from squeezed pulp of appe kai - a kind of sour mango..